Miss Dottie and I have hit the road! We’re both at the fabulous Altitude Design Summit in chilly Salt Lake City. We went last year and it was a mighty fine time. This year we are speaking again, which is always super fun. Just what is ALT, you may ask? It’s a gathering of amazing design-fashion-food-craft-lifestyle bloggers. There are really excellent sessions and workshops and it’s a fab opportunity to learn, connect and get inspired. Dottie and I are both speaking on Friday (at the same time—small bummer! I wanted to hear her panel!). Dottie is on “How to Make Yourself Press Worthy” which should be an amazing session. I’m on the “Up and Coming Blogs” session, and we’ll be spilling the beans about some of our favorite blogs that you might have on your reader (check back around 1:30PST to see the list of blogs!). It’s also at the same time as the Sundance Film Festival, which makes for an exciting atmosphere. 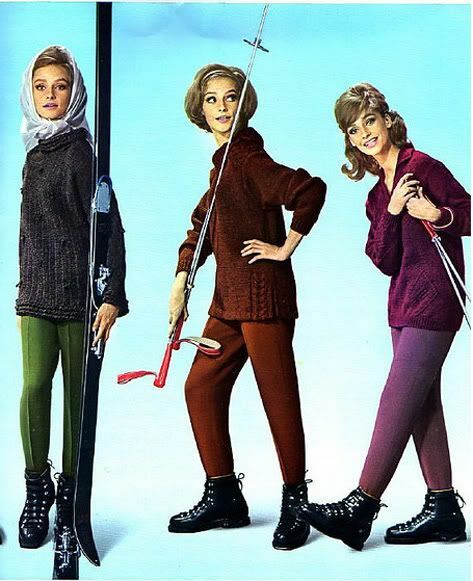 Every attendee even gets a free ski pass, but I have to confess we’ll be skipping the skiing and going on a special vintage store/thrift run with the awesome Liz Stan (Say Yes! To Hoboken). I know it’s wrong, but I’m looking forward to that more than almost anything. We’ve been tweetin’ and instagramin’ our way through the conference as well, so feel free to follow along! @galexina and @missdottie. We are having a blast with our awesome roomie and very sassy friend so stay tuned for a full report!